A little while back, I won my first ever giveaway. 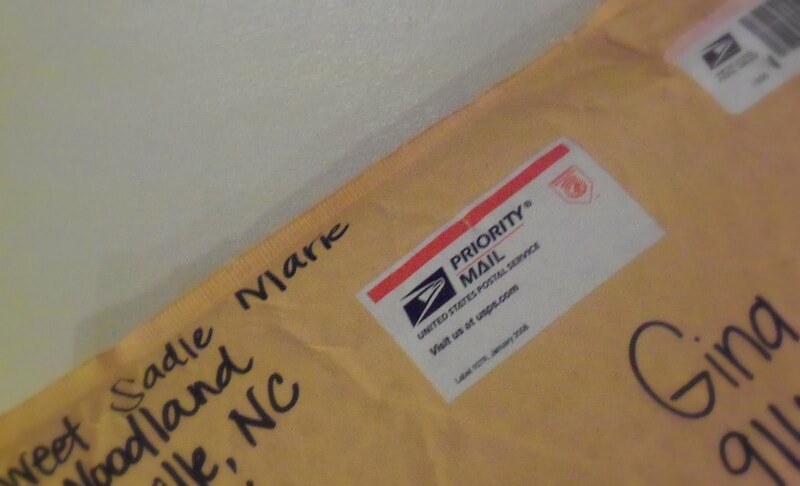 Before January, I didn't even know giveaways existed in blogland so this was exciting. My gift came from Megan at SweetSadieMarie, her etsy shop. 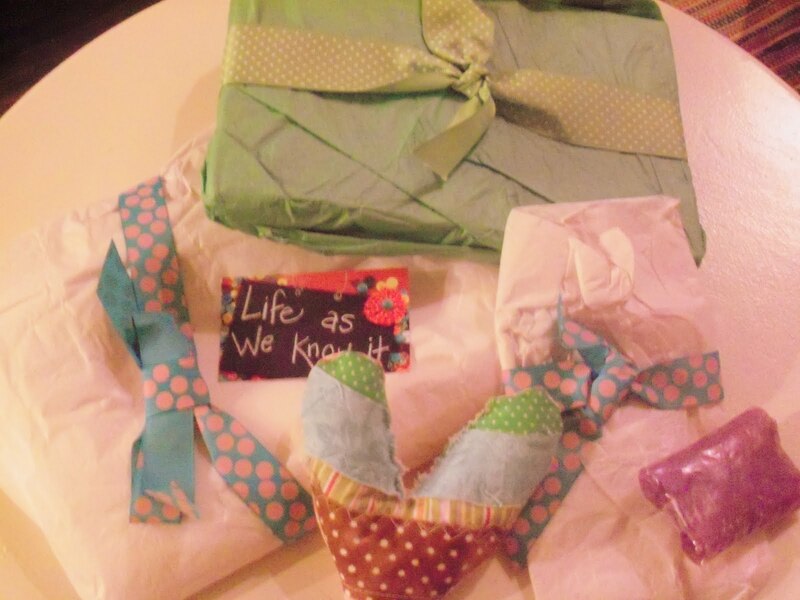 Everything was wrapped really cute and she even threw in a couple of special treats. I won a gift certificate and chose the cute chalkboard with ribbon covered hanger. I can't wait to find the right spot to hang it. I'm about to redo my sunroom into a project room and think the perfect spot may be in that new room. I also chose the sweet green apple/polka dot ruffle trimmed tea towels. I love those. 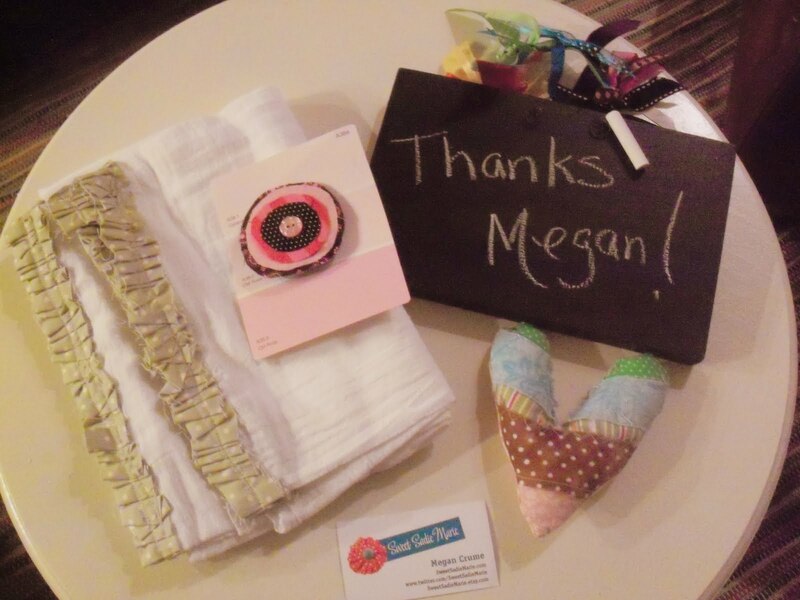 Megan graciously threw in the little patchwork heart and the pink flower button pin. 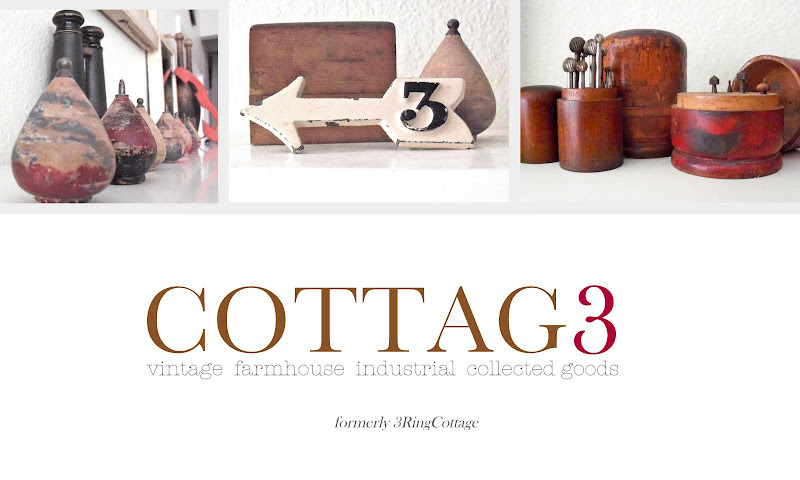 If you get a chance, stop by her etsy shop to find something sweet for you.